Something new - a guest post - with commentary by me at the end! So this is the year I am growing my own! 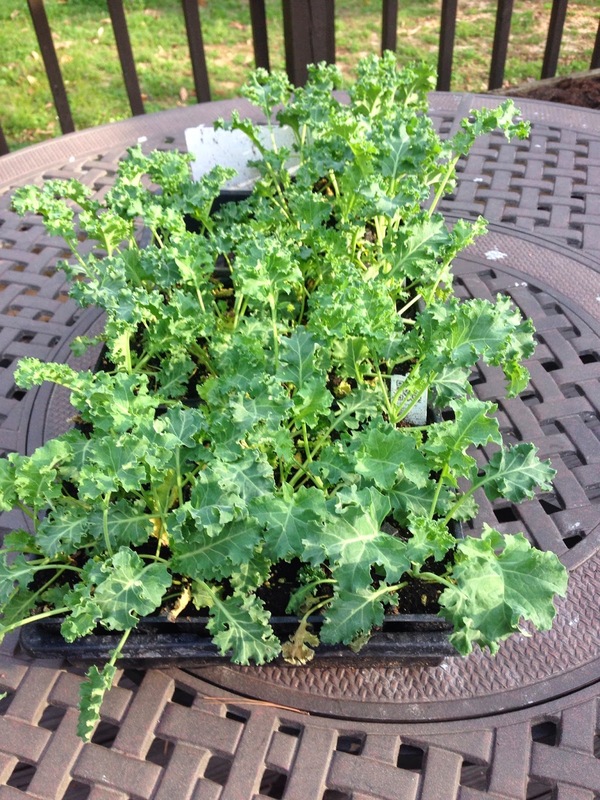 I ran down to the co-op and picked up 5 plants – that seemed reasonable to grow and share.... Only it turned out there were 9 in a box so now I have 45 kale plants !! I figure that's still Ok because now it will be survival of the fittest ! Here are my potential Kale boxes... I have been counseled to "Go For It" and actually put them in the yard... But this seems safer... I have until tomorrow to decide !!!! Yea for Jane's Kale Farm!! Wow - there just might be some extra kale in eastern Tennessee to share, or even – gasp!, sell at a local farmers' market. I have encouraged my friend to take photos and send them to me throughout the growing season. Really, I am looking forward to seeing my friend's smiling face behind a vendor's table when she has a kale hedge and suddenly realizes that she can't drink more smoothies herself and has no more friends (or her real estate clients because yes, she also runs a company, crazy full-time) to whom she can surreptitiously slip her extra kale into their car's back seat or mailbox or front door. I don't think anyone really thought that being a market vendor would happen for me (including me! ), but the fun of meeting our customers has become the reason we grow all of our garlic and choose to sell as much as possible at local farmers' markets plus to local chefs and food producers (versus over the internet). 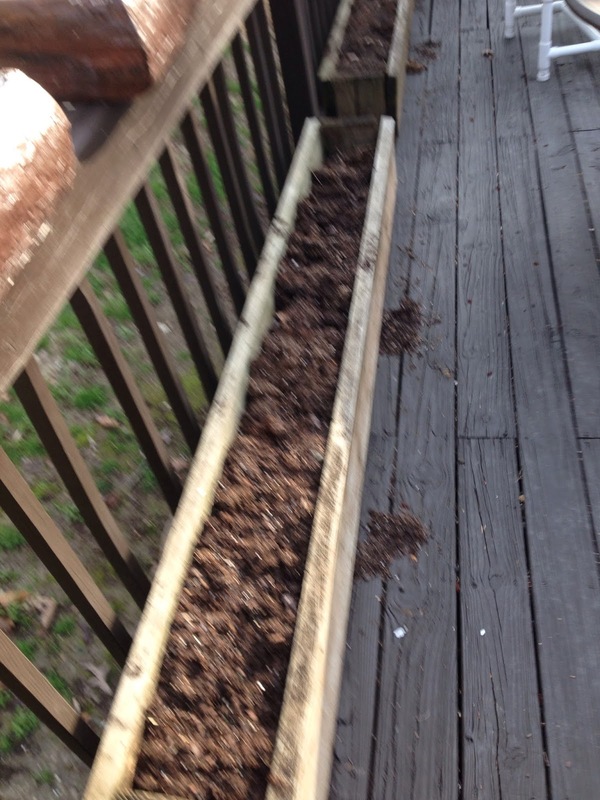 Where kale is more than decoration on my plate - it's now on my friend's deck in spades!